In this series of videos one of Americas finest trumpet players shares his thoughts about what he thinks is important in your daily warm up routine. David Bilger gives you loads of exercises, knowledge and tips that will help your own playing. From buzzing your mouthpiece, bending on the trumpet, developing high flexibility, to articulating and multi-tonguing – David Bilger really goes into detail on how you can develop a grand orchestral trumpet sound. 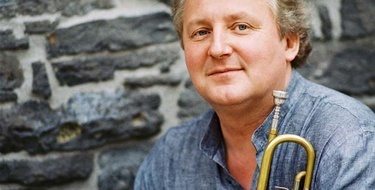 Hailed by the New York Times for his playing of " easy brilliance " and by the Washington Post for his " engaging legato touch ", David Bilger has held the position of principal trumpet of The Philadelphia Orchestra since 1995. Prior to joining the Orchestra, he held the same position with the Dallas Symphony. 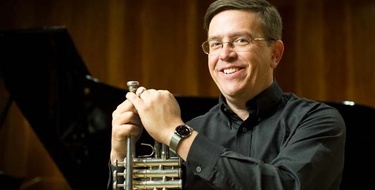 David Bilger is currently on the music faculties of the Curtis Institute of Music and Temple University, and he has formerly been affiliated with Swarthmore College, Catholic University, Rice University, and the University of North Texas. Discover more online trumpet lessons with David Bilger that will give you deep knowledge, inspiration and tons of practical advice on how to improve your trumpet playing. A great layout for the warm-up, including changing it up when you need to in order to visit different aspects of playing. I thought this video was very insightful. I wanted to go back and purchase more videos of him teaching. Please keep this up. Play with a Pro is a very useful tool for any pedagogical study or simply to improve your skills. All of the videos are top quality and provide great insight in the techniques and philosophies of professional players of today! I bought volume1 and volume 2 of David Bilger "warm-up".What i appreciate first is the quality of the videos. In this masterclass, David Bilger takes you by the hand and shows you what to do for your trumpet warm-up. I think that David Bilger is a very good teacher. I use his program of trumpet warm-up every days.This works! The information and concepts presented here is not new but is often overlooked. Trumpeters can easily forget that the basics and most fundamental aspects of our instrument need to be addressed everyday. Thank you very much for this share of ideias and knowledge. This is a very insightful look into the world of a professional trumpeter, and how he prepares for each different playing day. Well worth the purchase price. I appreciated Mr Bilger's approach that a warm-up should change as our playing changes. Daily and career-wise, this adjustment has helped me progress from a professional to a post-professional.